Of all the airplane types I love, the Mustang has to be number one. 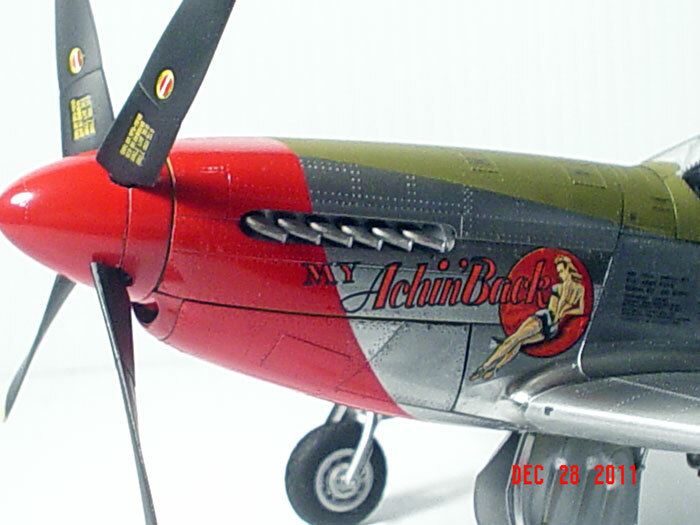 First, my father was a North American Aviation engineer and was involved with the Mustang from the jump. 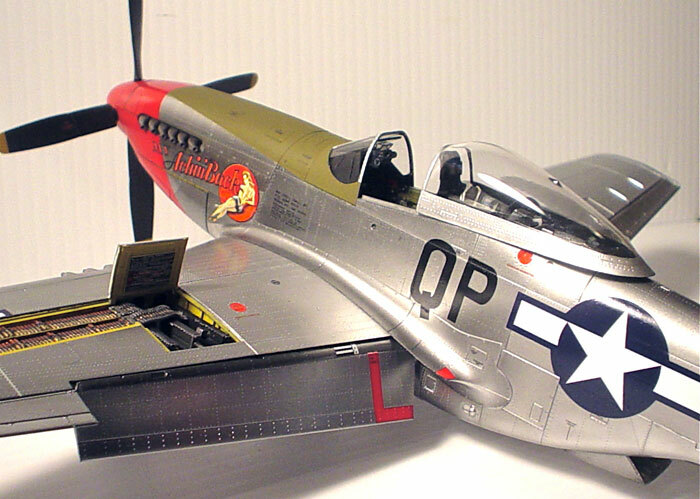 It was his favorite airplane and in the early 1960s, he scratch built an r/c model of the Mustang that was the largest built in the U.S. at the time. He and I also built loads of plastic Mustangs. I can remember when he bought me the Monogram 1/32 kit on a Friday night then Saturday morning talked me in to giving that kit up in exchange for a Hawk chrome plated job! 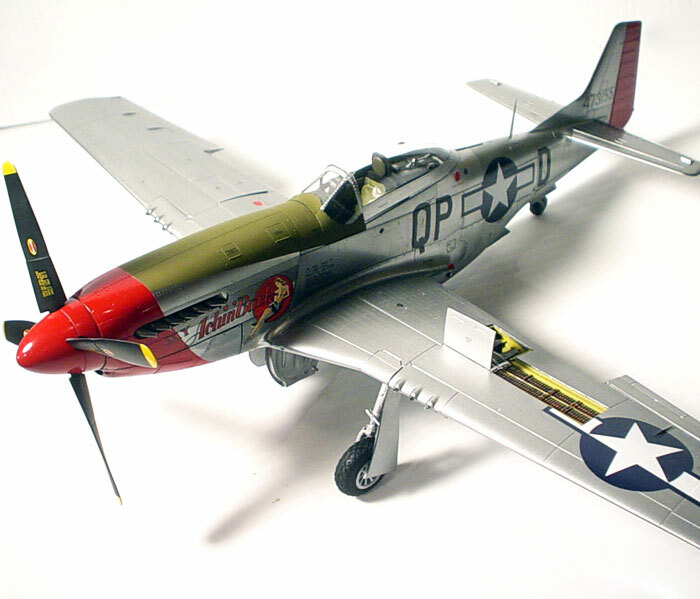 Then came our "Phantom Mustang" jag, then the Revell P-51B. That was a rather dodgy replica but I still built at least 6 or 8 of those. Second, the Mustang was a beautiful and magnificent airplane by any standard. Was it the best WW2 fighter? Folks will argue that point forever but anyone who is intellectually honest must admit it was a highly successful and significant weapon system. 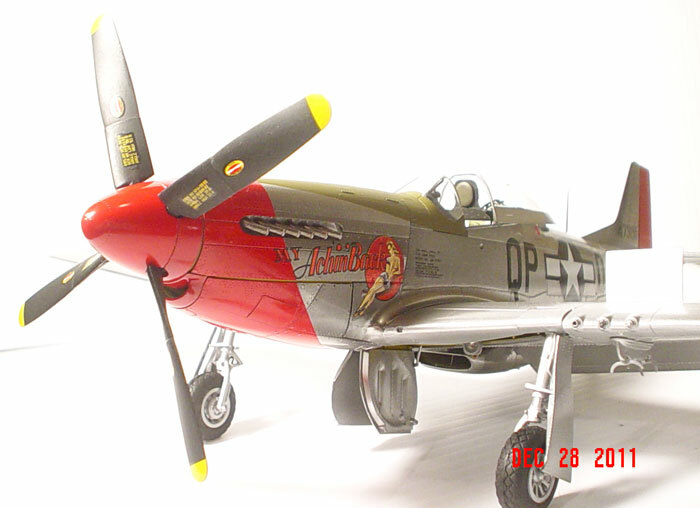 Of course, I've built all the modern day 1/48 scale offerings and the Dragon 32nd release. But even after all of these, I still felt there was room for a kit that was at a newer, higher level of quality. When the Tamiya 1/32 kit was announced I knew I had to get at least one, especially after building their spectacular Zero and Spitfire. Let me sum it up. This has got to be the finest, most accurate plastic airplane model manufactured to date, nevermind the best Mustang model, by light years. In my opinion this kit sets the standard for what a model in this scale should be in virtually every respect. The detail is absolutely phenomenal and the shape bang on. In fact, I'll go so far as to opine that it would be a sin to replace anything in the box with aftermarket items, the model is that well engineered. Anyway, I built this model right from the box with the exception of replacing the shoulder harness with an Eduard one (ok, a small sin) and I used the BarracudaCals cockpit placard decal set (all 100+). Since the kit lacked the battery wiring and a radio coax cable, I added those. The finish is Alclad with a couple of good coats of Future. Much of the wing was sprayed silver like the real thing. The red nose is Xtracolor Insignia Red. I love Fourth Fighter Group markings and the nose art of Tsgt Don Allen, arguably the best artist in the USAAF and responsible for "Blondie", "Arlene", "Salem Representative"et al. My favorite, "My Achin' Back" is well depicted on a fairely new Kit's World sheet so that made my life complete. Along with my numerous references including factory 8x10 black and white glossies, I stumbled across some excellent color movies made at NAA Inglewood, CA (my birthplace) and shown on You Tube. 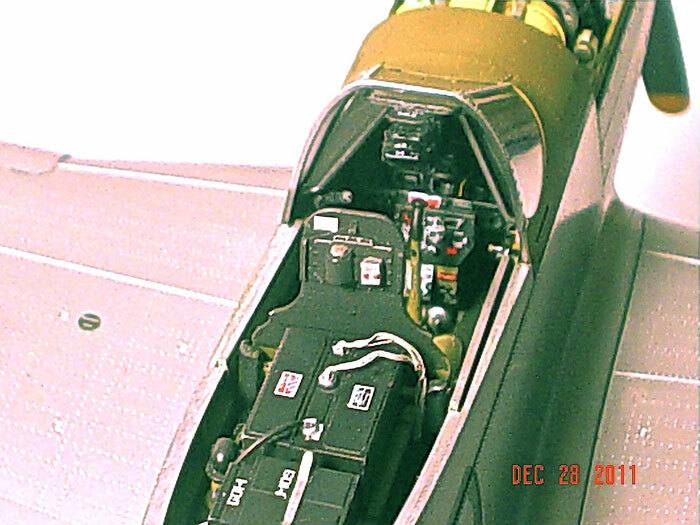 At the time these were made, zinc chromate was being applied liberally and their is conclusive footage of the cockpit clearly showing the green NAA used. My father described it as a color called "forest green" but looks similar to interior green but slightly more khaki to my eye. I hand mixed my own cockpit color using Testor Model Master. Testor also provided faded o.d. for the anti-glare panel. So, if you haven't bought this jewel, give it another thought. 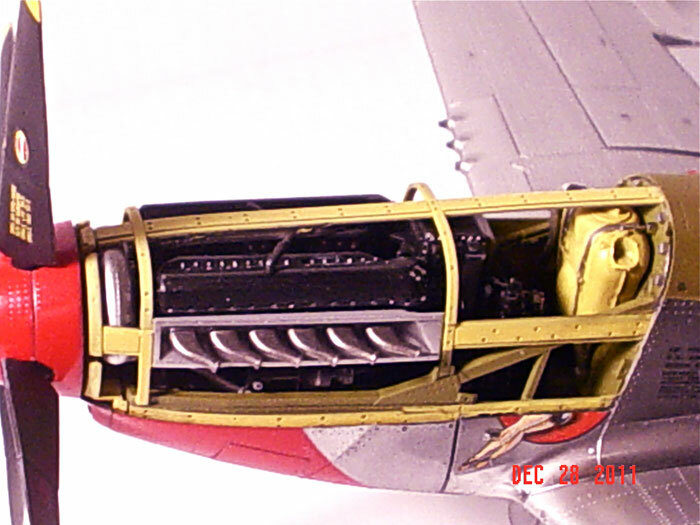 Just the quality of the model, the amazing engineering and technology that went in to producing it, make it worth having! I love just looking at it in the box! I can't wait to see what future releases of this kit will be. By the moldings, it's obvious one variant could be a PTO based airplane.